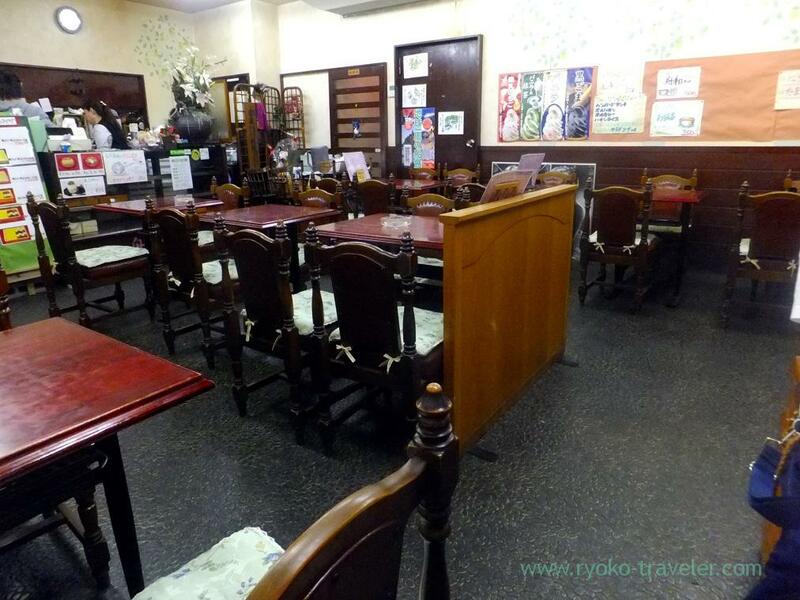 After getting out of Torifusa, we had to wait somewhere until Ranshu that is so popular as Chinese dumplings was open. So we killed time at Funawa. 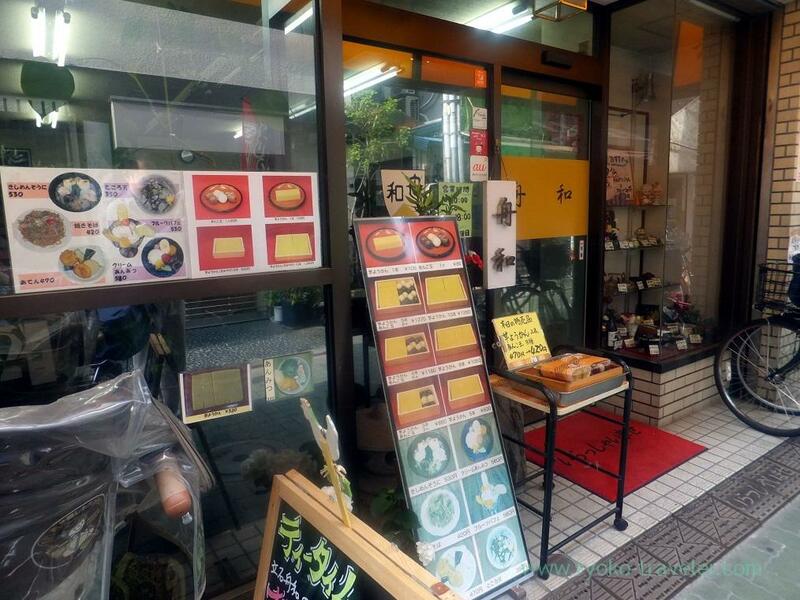 As you see in the picture, it is so famous wagashi shop as Imo-Yokan ! Unlike branch shops in department stores, Keisei-Tateishi’s Funawa is like ordinary and inexpensive kissaten. 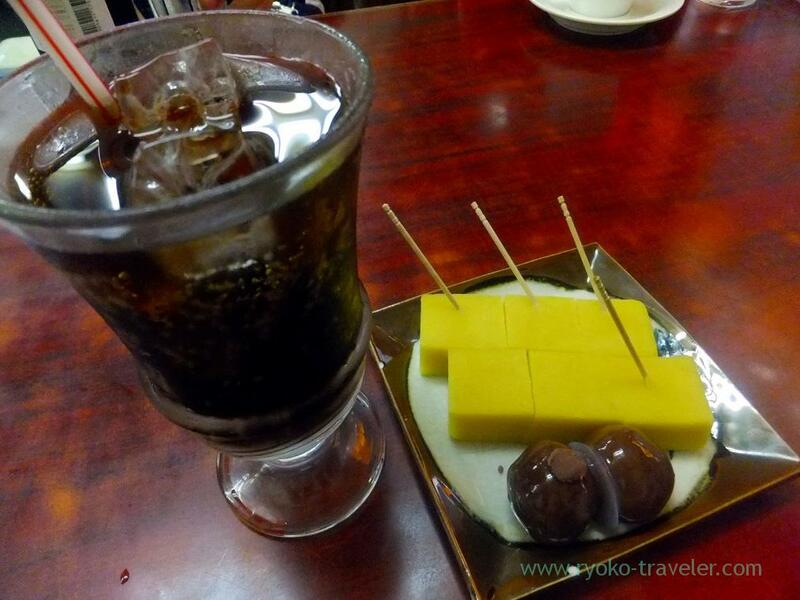 Of course, I ordered a Imo-yokan, anko-dama and coke. Umm. Coke ? We killed time about one hour until Ranshu’s open at Funawa, and went toward Ranshu before the opening time. There were already some people waiting !!! They enjoy tremendous popularity. 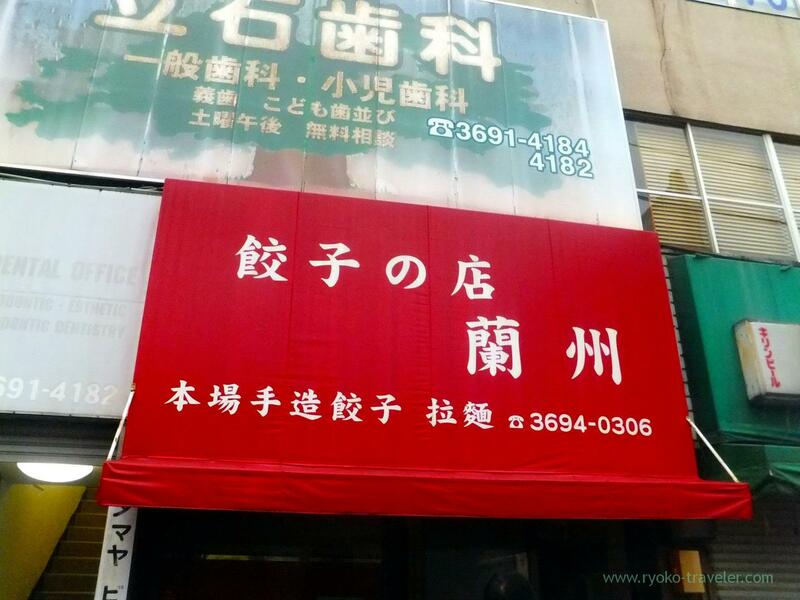 After opening, the shop became full immediately. My drink was oolong tea (ウーロン茶, 250 yen). This shop don’t have much kinds of drinks. 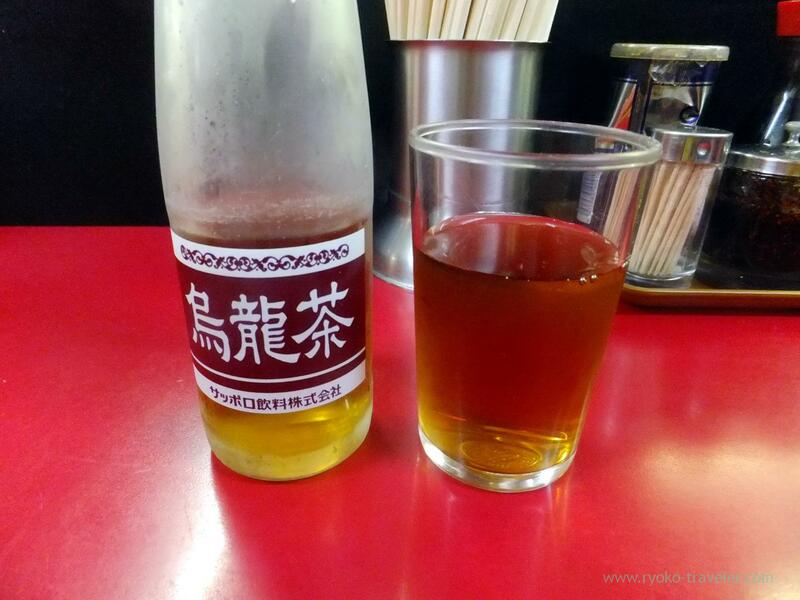 Beer, Japanese sake, Shaoxing wine, Laolongkou0 and oolong tea.That’s all. 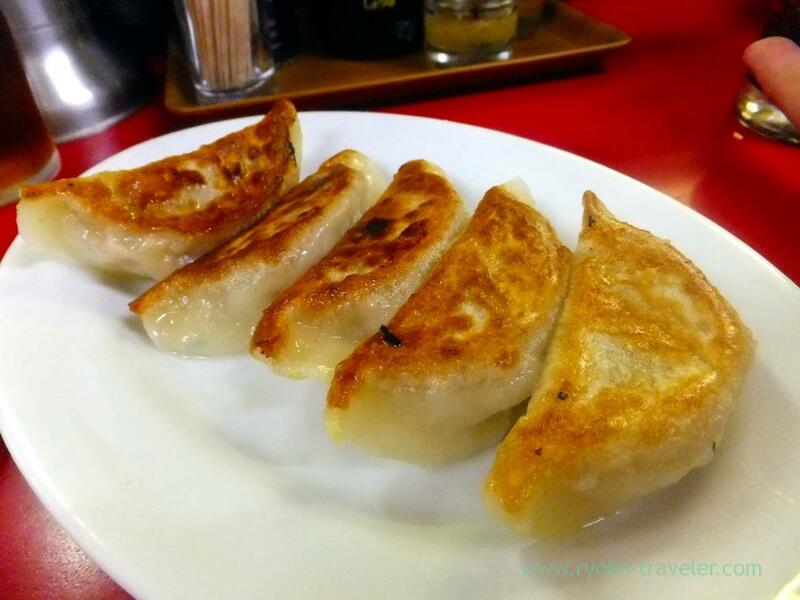 At first, Gyoza (焼き餃子, 350 yen) came ! Its skin had springy texture and the roasted surface was crisp. And plenty of meat juice !!!! Rice ! I need rice ! A man next to us ate rice with Chinese dumplings and it !!! What a happy meal !!! Jealous !!! 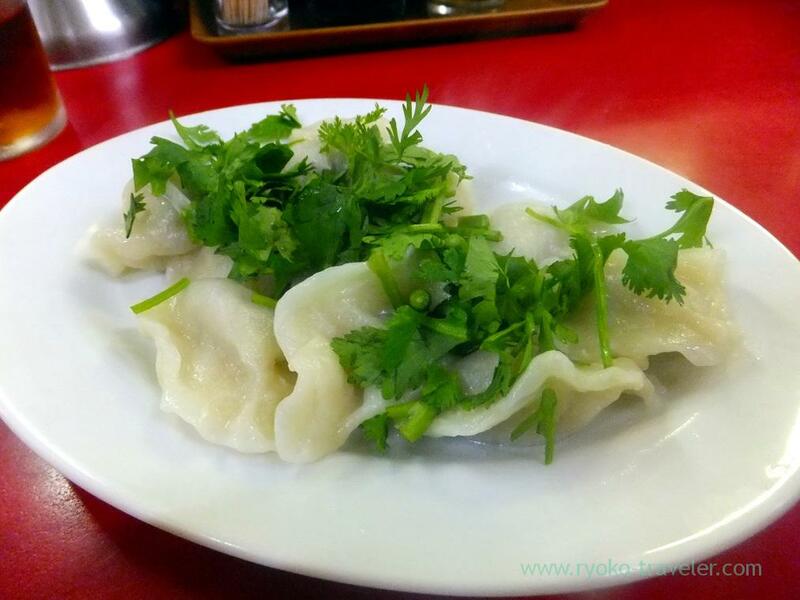 Springy, springy Chinese dumplings !! Splendid !!! Eating it with homemade chili oil gave me great happiness !! 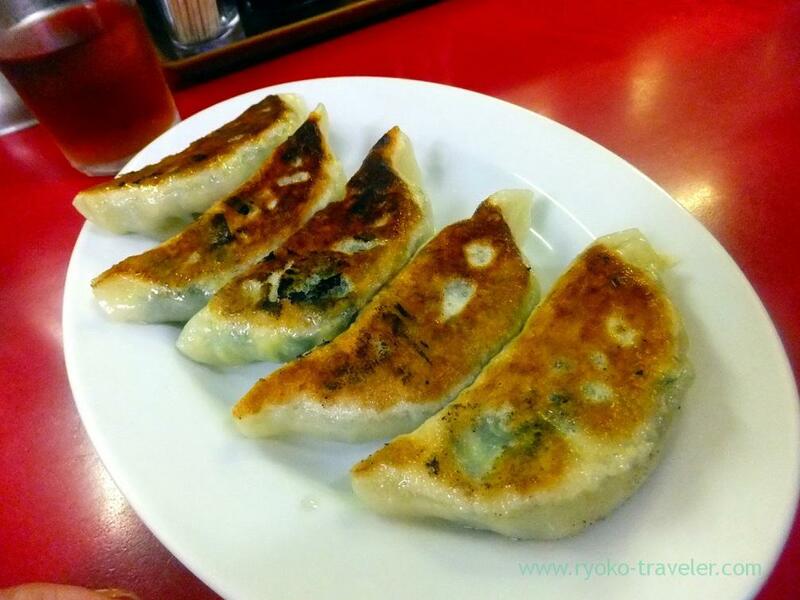 Last, leek gyoza (焼きニラ餃子,400 yen). It contains leek omlet instead of ordinary gyoza filling. Because some of my friends came here for the first time, so we ordered it. But I don’t like this. Eggs made it too mild. I expect gyoza stronger taste. I wanna live in Kesiei-Tateishi ! 😛 Though this area is not safer than another place.